London can offer some of the best accommodations in the world. 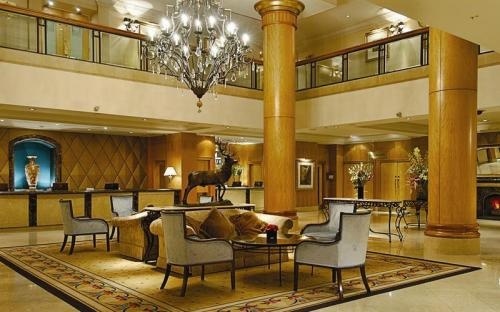 Whether you prefer luxurious conditions, a cosier interior design, special amenities for children or a simple room for a solo traveller, this beautiful capital city receives all its visitors with warm welcomes and suitable hotels for very budget. If you are looking for something situated in South Kensington area, then Millennium Gloucester Hotel can be one of your options. This accommodation is great for business men and women that need a spacious and facilitated meeting venue. The space can also be used for private events, such as weddings, or educational events, like conferences and receptions. However, you can book a room or more at Millennium Gloucester Hotel even if you are travelling with your family or friends. You can take advantage of services that will make your staying as pleasant as possible, including car park, theatre reservations, 24/7 room service and sport venues. Moreover, Hyde Park, the Natural History Museum, Royal Albert Hall and many more are situated at a walking distance. In order to get a Gatwick to Millennium Gloucester Hotel Transfer by rail is one main option: you could take the train from Gatwick Airport (every 20 minutes) via London Blackfriars Rail (every 5 minutes) and a 1 minute walk. This journey will take about 53 minutes in total. A Gatwick to Millennium Gloucester Hotel Transfer by car can be done by taking the M25 motorway. Gatwick Airport is at a 36.0 miles distance from Millennium Gloucester Hotel. This journey will take about 57 minutes, without including traffic. A Gatwick to Millennium Gloucester Hotel Taxi Transfer with 247 Gatwick Airport Transfer is going to take about 1 hour and 26 minutes, including rush hour traffic. The price for a Gatwick to Millennium Gloucester Hotel Taxi starts from 57 GBP.